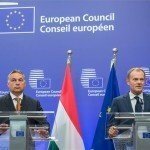 Hungary has never been anti-European and its government represents a true European position, Hungarian Prime Minister Viktor Orbán said on Monday. Addressing parliament, he said that the European Union is a voluntary alliance of independent nations and does not equal Brussels. 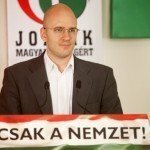 “Hungary is not and has never been anti-European. Quite the contrary, the government represents a true European position, protecting the current European treaty, including the original sharing of competences between the member states and Brussels. 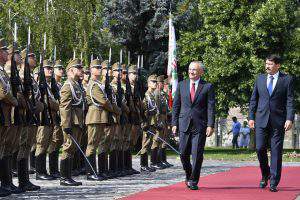 It is Brussels rather than Hungary that has changed its position,” he said. The prime minister accused Brussels of “openly siding with terrorists”, which he called incomprehensible. Referring to a man convicted in Hungary for leading a group of migrants attacking Hungarian police along the southern border, Orbán said that “Ahmed H’s obviously absurd lies” are more important for Brussels than the security of Hungarians. Referring to US financier George Soros, Orbán called it absurd that a “financial speculator” sets the direction for Brussels and gets to say what Europe is supposed to do while the European leaders “are bowing” to him, he said. Orbán promised that the border fence along Hungary’s southern border would stand as long as he is the prime minister. 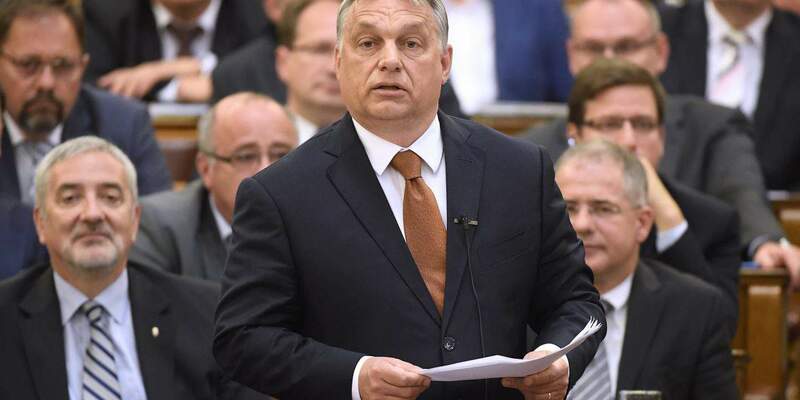 As long as Fidesz and the Christian Democrats rule Hungary, the government will not yield to Brussels’ “blackmails” and will reject the mandatory migrant quotas, he said. Orbán said that Hungary is standing on the foundations of democracy and will not let Brussels to “stealthily” deprive it of its rights. The prime minister asked lawmakers to take Hungary’s side in the debates with Brussels and the “Soros mafia”. “Those who support migration, want to demolish the fence and would let migrants of uncertain origin, identity and motivation settle in Hungary are acting against the Hungarian nation,” he said. Assessing the government’s recent “national consultation” survey, Orbán said most Hungarians agree that Brussels should not be allowed to force onto the country its migrant relocation programmes. “We cannot allow Brussels to take over managing our affairs,” he said. 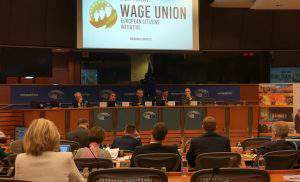 What has so far been the most successful national consultation has also made it clear that most Hungarians think Brussels should not be allowed to have a say in Hungary’s decisions on taxes, wages and utility prices, he said. The national surveys conducted so far allow that Hungarians, and the parliament they elected and their government could act together out of a common will. 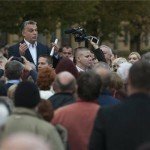 This is the foundation of Hungary’s recent achievements, Orbán said, noting that the country had been rescued from a financial collapse and further price increases and had been set on an economic growth path with hundreds of thousands of jobs created and wages increased. “We want a Hungarian Hungary and a European Europe,” he said. Orbán said that Hungary must prepare itself for autumn debates focussing on Europe’s future. Since Hungary is, and will continue to be, a member of the European Union, those debates will concern its future, too. He said that France and Germany, the two leading powers in Europe, may attempt “to transform” the bloc, but it is still hard to see if this would stymie or help Hungary in its efforts to enforce its interests in Brussels. “We are facing debates that will concern very serious matters and will have consequences in the long term,” said Orbán. The prime minister said Hungary is on the right track and has every reason to be optimistic because “we again have a future”. Orbán said the “hard-earned achievements” of the past seven years include preparing the ground for a labour-based economy to replace a benefits-based economy. Employment grew fastest in Hungary within the European Union and the increase in the minimum wages since 2010 has been the third highest. Hungary’s economy grew by 4.2 percent in the first quarter of this year compared to the same period of last year, he said. The functioning of the Hungarian model has been recognised even by those that had voiced concerns in the past, he added. These achievements have been realised with national interests in mind and they should not be allowed to be put to risk as a result of “some hazy utopia, whether called the United States of Europe, or open society, or anything else”, he said.